Younicos, in partnership with Samsung SDI and Green Utility, was awarded a tender to supply a 1 MW/1MWh high-power battery to the Italian grid operator Terna, with another 1 MW/1 MWh system in option. 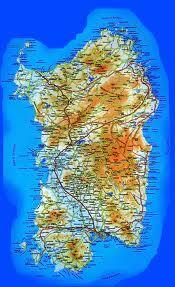 The Berlin-based storage and renewables specialists will install the fully automated storage on Sardinia. Deployed as part of the "Storage lab” project under Terna’s "2012 Grid Defense Plan”, the intelligent control software developed by Younicos will enable the lithium-ion battery, together with the other solutions, to stabilize the Sardinian island grid. Following successful completion of the "Storage Lab” phase, Terna will order a further 24 MW of energy storage solutions to be deployed on the Sardinian and Sicilian grids. With an installed capacity more than 25 GW, wind and solar energy already contribute more than 15 per cent to electricity generation in Italy. In specific cases, such as the main islands of Sicily and Sardinia, PV and Wind combine to generate more than 30 per cent of the total installed capacity. This is a problem whenever the islands’ grids become detached from continental Italy, because frequency fluctuations become much harder to offset. Thus the grid operator Terna is investing heavily in the expansion of the storage infrastructure in these islands, the initial stage of which is the evaluation of different storage technologies . Younicos has been successfully using batteries in its in-house Technology Center to stabilize the east German control area of grid operator "50 Hertz" since 2012 and is currently building lithium-ion battery parks in Schwerin and the UK. The support programme "model refurbishments” sets a benchmark with 45 role model projects as a basis for new thermal refurbishments of buildings. Refurbishment standards of today set the limits for emissions from buildings for the next 40 years. Within some decades the building sector should be totally free of emissions. So the support program of the Climate- and Energy Fund wants to enable this by establishing a refurbishment support program. This program is based on publishing role model examples of refurbishments, so that they can be easily copied by other people that want to invest in thermal refurbishment. The programme supports comprehensive refurbishment projects on operational level as well as on public buildings. and there is also an extra fee for the use of ecological insulation materials (5%). With the support programme "model refurbishment” the Climate- and Energy Fund lies the main focus on high implementation of renewable energy, use of climate protecting materials and products within the refurbishment, measures on energy efficiency, no or very low level of cooling needs and a high level of innovation. For the whole support programme there is an amount of 10.9 million Euro available. 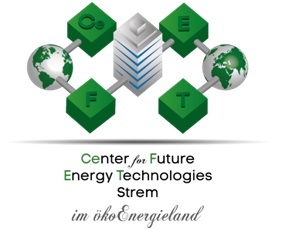 The perfect place for a pioneering energy center is the community of Strem in ökoEnergieland. Close to the city of Güssing all necessary parameters are given to establish such a very unique energy model. 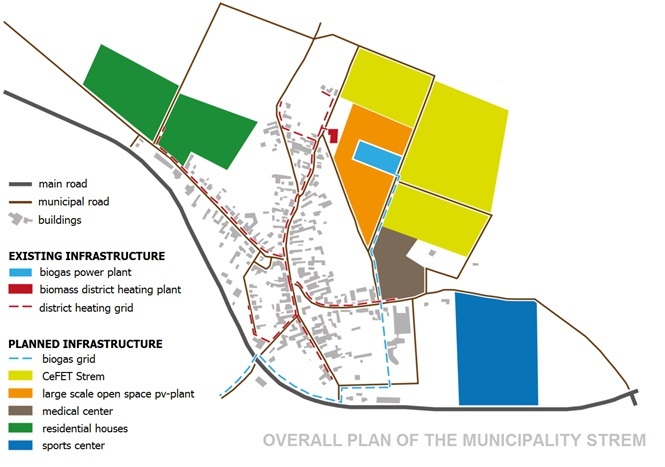 The surrounding area of the existing biogas plant, located in Strem should be used for a building of new energy, research and study center. When everything goes according to the plan, up to 200 green jobs and up to 150 study places should be created. Reinhard Koch developed this model of a visionary CENTER for FUTURE ENERGY TECHNOLOGIES. Together with his brother Markus Koch, who is an approved expert in the field of thermal gasification and heads the biomass power plant in Güssing, Reinhard Koch will establish and run this center. Researchers, under the guidance of Prof. Hofbauer will have perfect conditions in the research facility to advance the existing technologies. The researchers will work intensively in the pilot plants to close the gap between basic and applied research. Integrated in the center will be the worldwide-known "European Center for Renewable Energy Guessing”. Focus of the EEE is the development of energy concepts based on the experiences in the "ecoEnergy Region”. The EEE is also advisor of governments and strongly involved in the energy strategy of the European Union. Another core theme will be the advanced training, in theory as well as in practice. For the theoretical part, an academical education will be available at the location Strem. Through a cooperation with an Austrian university, it will be possible for students all over the globe to make their master’s course in renewable energy in Strem. Therefore it is necessary to build a university building with lecture rooms and laboratories, as well as accommodations for the students. In addition, demonstration plants for the practice will be available. Future plant operators have in this way the opportunity to train their personnel professionally. Experiences from Güssing in the past years have shown, that every year thousands of tourists are going to visit such unique centers. A special trained group of people will guide these eco-tourists. Therefore it is necessary to build a hotel that also includes a restaurant. Out of the activities done in this project and cooperation between EEE and municipality of Strem one of the biggest economy projects should arise in concept region Güssing – ökoEnergieland. The U.S. Department of Energy (DOE) today announced that its international energy storage database (www.energystorageexchange.org) has surpassed 420 documented energy storage projects from around the world. The database, the first of its kind, provides free, up-to-date information on grid-connected energy storage projects and relevant state and federal policies. It is funded through DOE's Sandia National Laboratories, and has been operating since January 2012. The Energy Storage Database lists 420 energy storage projects from 34 countries with a combined 123GW of installed capacity. More than 50 energy storage technologies are represented worldwide, including multiple battery technologies, compressed air energy storage, flywheels, gravel energy storage, hydrogen energy storage, pumped hydroelectric, superconducting magnetic energy storage, and thermal energy storage. The policy section of the database shows 18 federal and state policies addressing grid connected energy storage, from rules and regulations to tariffs and other financial incentives. Anybody can create an account and add projects, and each project goes through a vetting process where database staff contact the project owner to verify data accuracy. This is the blog of the AlpStore Project, where news from the world of renewables energy storage will be published and disccussed by experts and stakeholders in order to stimulate the debate on innovative technologies and applications, and their potential in the Alpine Space environment. For further information about project activities please visit the website.